Earlier this week I wrote about how to streamline your jewelry box by adopting a Capsule Wardrobe plan- the Jewelry Edition. And some of you have been really excited! Excited enough that I’ve received a few emails of pictures of empty jewelry boxes- and piteous complaints of not knowing what to put back in them! As I don’t want any of you to be unhappy- I decided to post this article sooner rather than later. But first you have to promise me something- and it’s a doozy! *Please don’t buy my jewelry unless or until you are absolutely certain that the piece you’ve chosen is something that suits you, is something that you will wear for years and years to come, and holds a personal meaning for you. I can hear you now- because I’ve talked about this to my local clients, and they all look at me like I’m speaking gibberish. “What do you mean hold a meaning? It’s just jewelry, Kaelin! What do you mean it should suit me and my lifestyle?” Here’s what I mean- because I am an Artist, and my work is not “just jewelry”. Every piece I create has a purpose, and is designed to last for generations. I would rather hold on to a piece for years waiting for the right collector, than create pieces that are created to follow a vanishing trend, which will be discarded without a thought. Because the pieces I create are not objects of fashion, irrelevant after the season passes, but objet d’art. Speaking in general, true pieces of artwork are designed to last the centuries, and are inherently valuable in and of themselves- and well beyond the intrinsic value of their materials. Now don’t be alarmed at the idea of wanting to know the meaning of Art. Countless tomes have been written about this- and I disagree with most of them! I lose patience with people who prate about the significance of the brushstroke, and cow their audience into submission with their ‘superior’ knowledge. Brushstrokes are certainly important in paintings, so that one can admire the skill of the painter, but it is your response to the Art as a whole that is the important part of all of this. 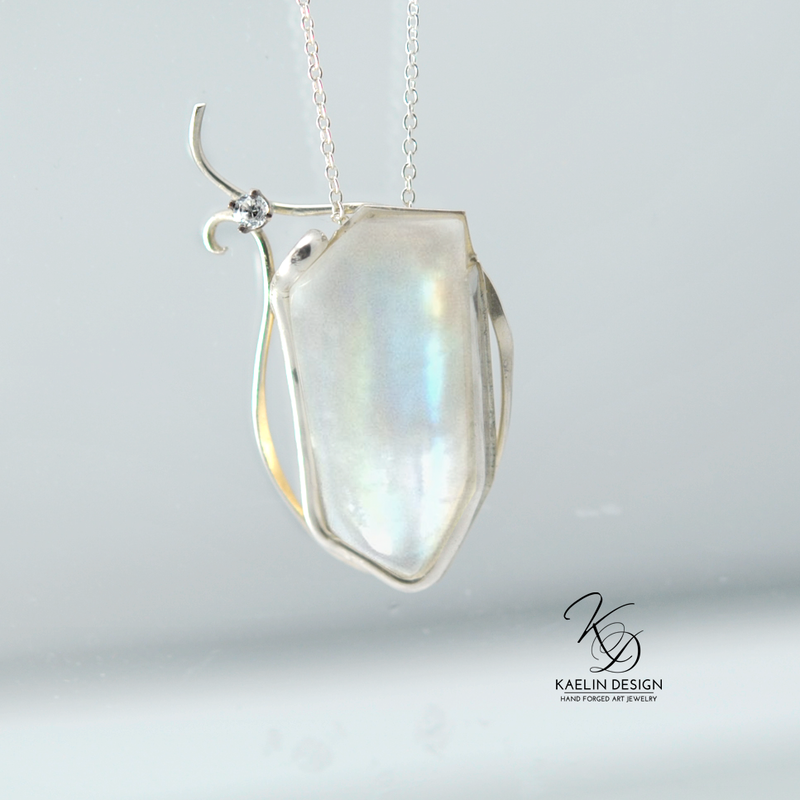 If you look at my jewelry, and don’t form a connection of any kind with my work, I truly want you to pass my work by, and find another artist’s work to support. 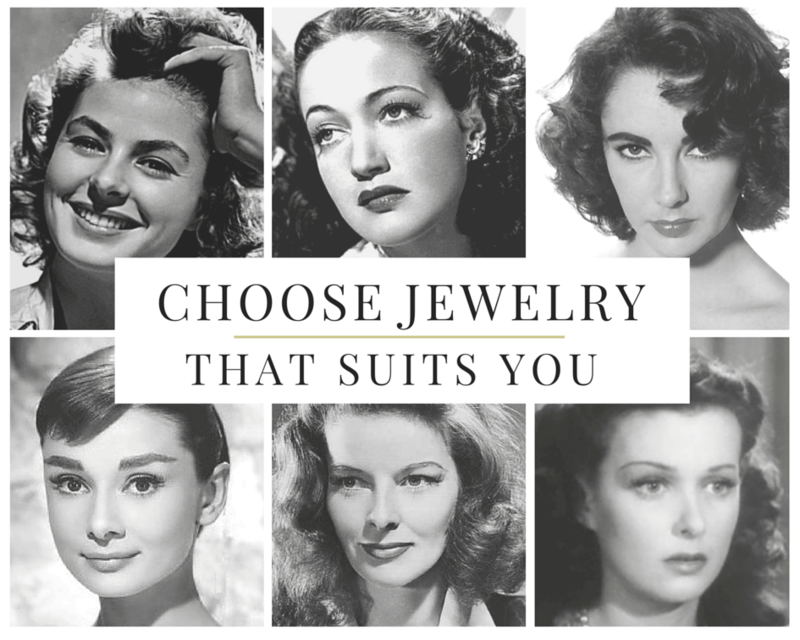 I’ll even help you find a jewelry artist who will better suit you if you’d like! But it’s you and your reaction to what I create that is important at the end of the day. Rule 1- Every piece you own should mean something to you. Every piece I make, is created to celebrate a specific moment of someone’s life. One single person- because each piece I make is unique. For that one person, the piece I’ve made strikes a chord just for them. One of my favorite moments is seeing that chord being struck. I watched as he told the story to his lady, and I watched the stars in her eyes shine. That piece holds a meaning for him, and thus for her, above and beyond simple forged silver and gemstones. 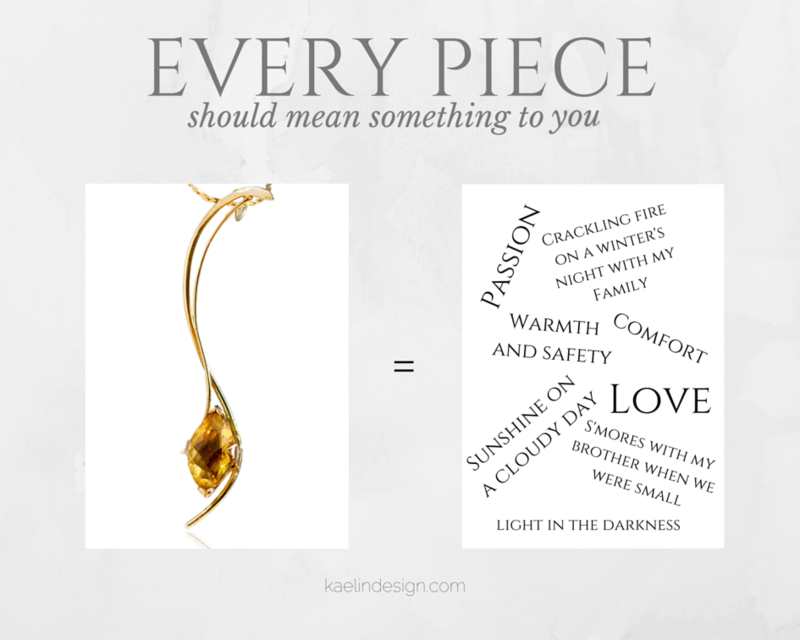 Large or small- every piece in your jewelry box should mean something to you. Rule 2- The jewelry you own should last for generations. I keep thinking this is a common sense thing…. And I keep getting people staring at me like I’m crazy. So here we go. Precious metal jewelry will last for a very very very long time. Plated jewelry doesn’t. I have a few pieces of precious metal jewelry from my great-grandmother, and it’s just as gorgeous as it ever was. However, when I had my first job, I celebrated by buying a bracelet. It was “silver tone”, and when it broke a few weeks later, I realized that the inside metal was something, but it certainly wasn’t silver. When you buy a piece that will last, it might look like a larger upfront cost- but it’s an investment, because you won’t have to replace it every month. Do not mistake me- I am not in any way advocating purchasing Art Jewelry that you can’t afford. I do not believe that every piece you own needs to be diamond encrusted platinum. I do, however, encourage people to only buy solid precious metals- which does not have to be expensive! Any good jeweler will work to your budget- I promise. I once had a customer tell me how much she loved one if my gold pendants. After several months of looking at it, she emailed me asking if there was any remote way that I could make something similar in her limited budget. I told her it would be my privilege, and she was ecstatic. Any budget can own quality pieces. 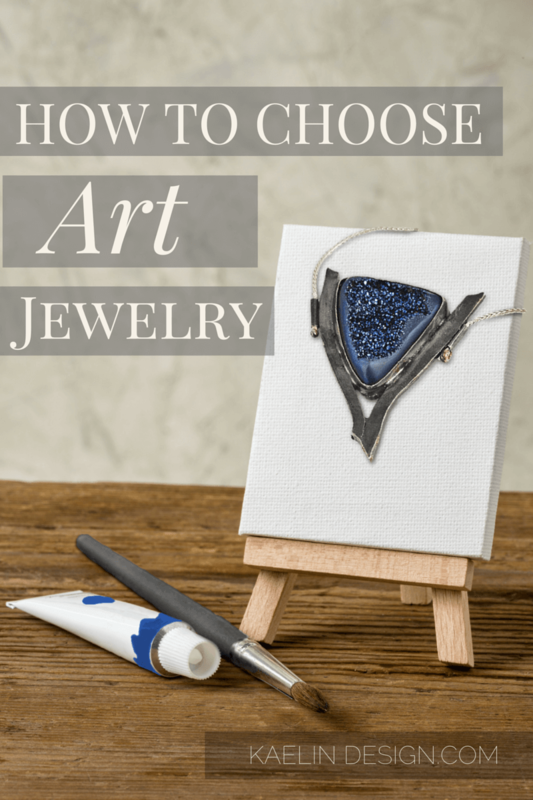 Rule 3- Your Art Jewelry should suit you. This part also confuses people. “I like it! Of course it suits me.” That’s not what I mean, so I’m going to lay this out. Different pieces of jewelry suit different people differently. By suit I am talking about how different shapes, materials, and colors enhance their wearer. A basic example is a person with blue eyes wearing blue gemstone earrings. The blue gemstone literally enhances the color of the wearer’s eyes. But it’s not just color- it’s also shape, texture, and material. Please do not wear any piece that doesn’t enhance you! Not because of any strict fashion dictates- but because when you look in he mirror, you won’t feel that you look your best, and in the long term, you won’t be happy. Your jewelry should suit you down to the ground- and it should make you feel amazing! Next time, I’ll be talking about how to identify styles, gems, and textures that will enhance your unique style. See you then! If you missed part one of this post, don’t worry it’s right here- How to Create an Art Jewelry Capsule Wardrobe. Hi Kaelin. I also make jewelry, not the quality of yours but I understand completely what you mean by your 3 rules. Each piece I make I make for a certain person. I see that person in my mind’s eye as I work. No I’m not talking custom orders either. Just art jewelry. Welcome Donna! 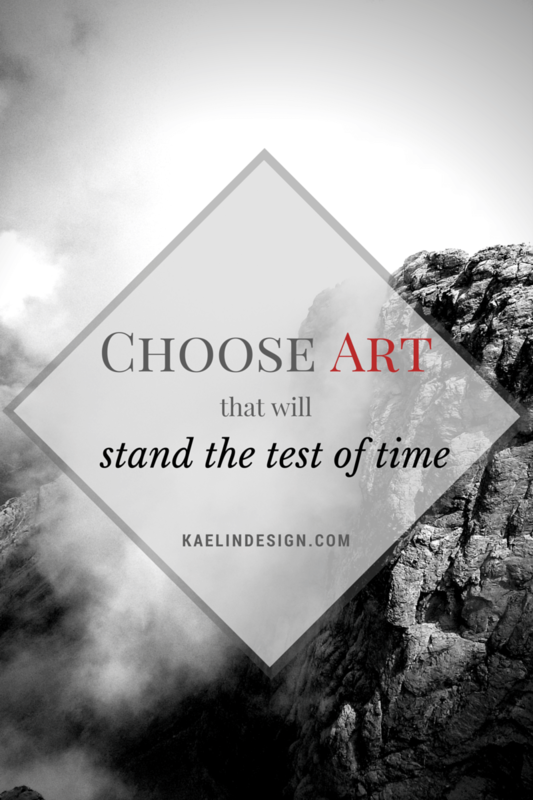 I think this applies to most Art Jewelers- whatever our medium or skill set- because we are first and foremost artists.